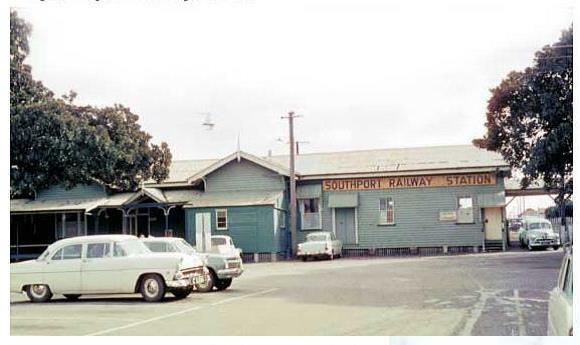 The South Coast service was slow with maximum speeds reaching 60km/hr in sections. The event of the car destroyed the service. 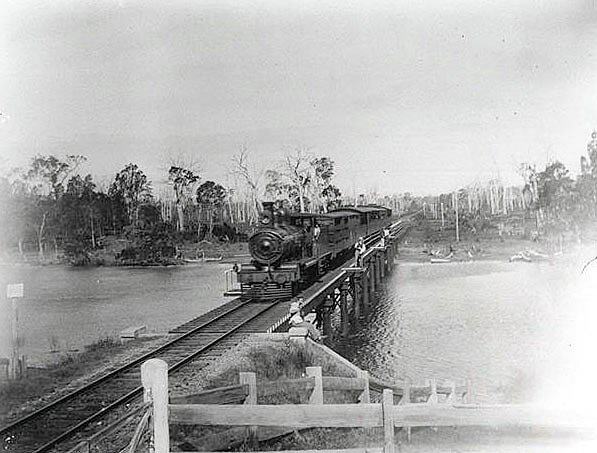 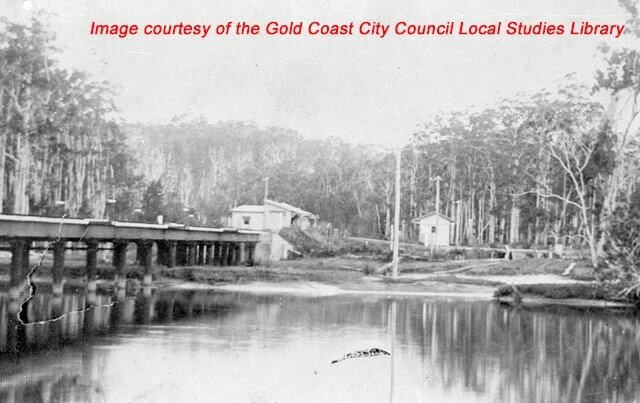 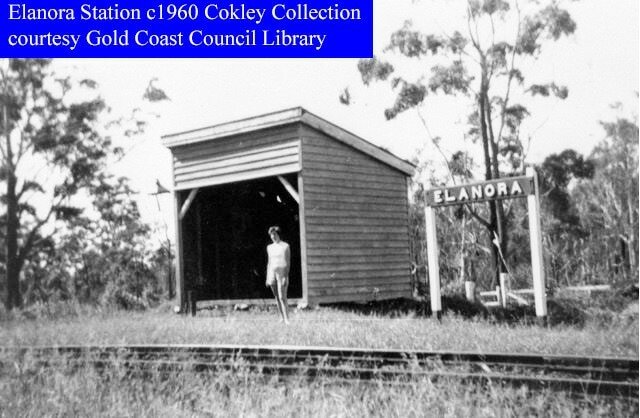 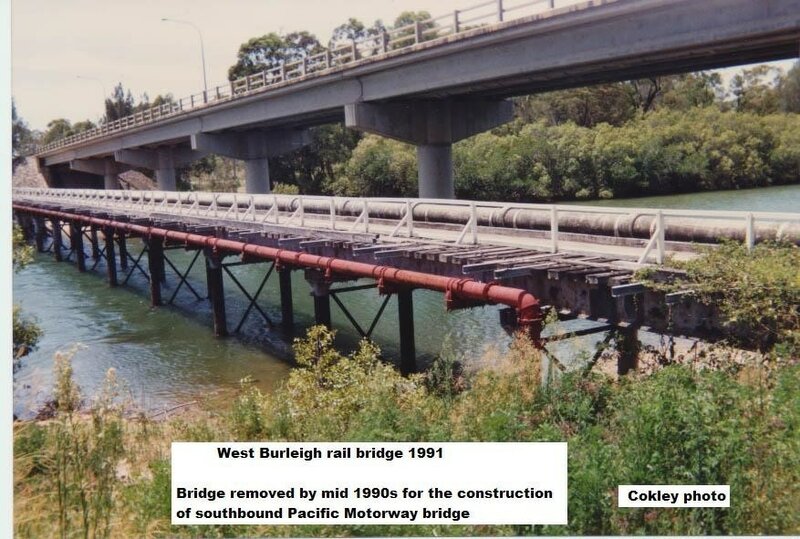 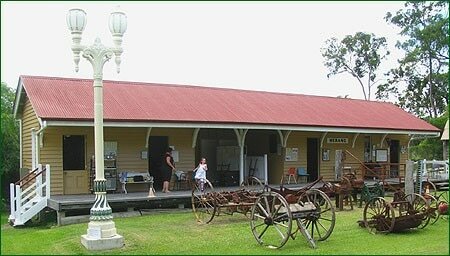 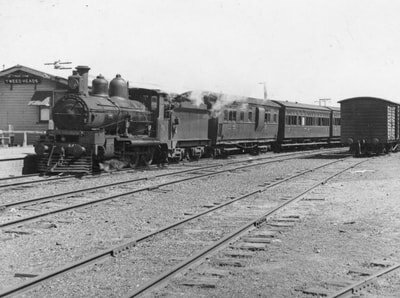 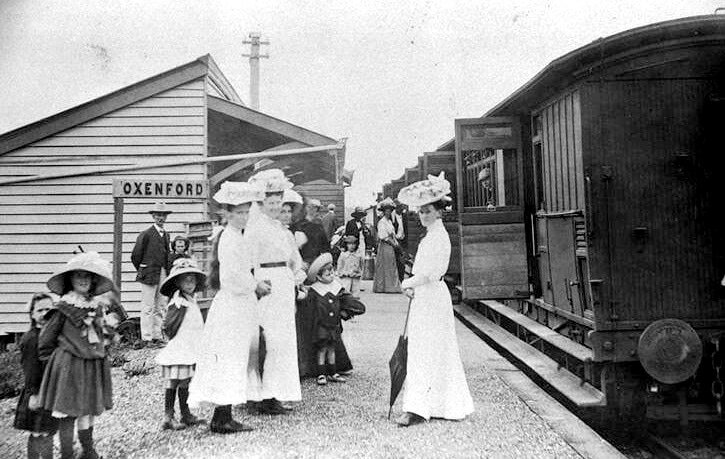 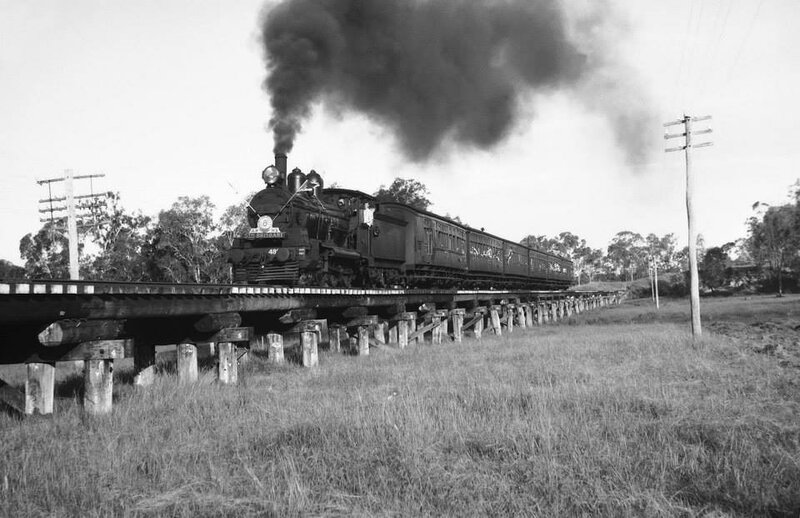 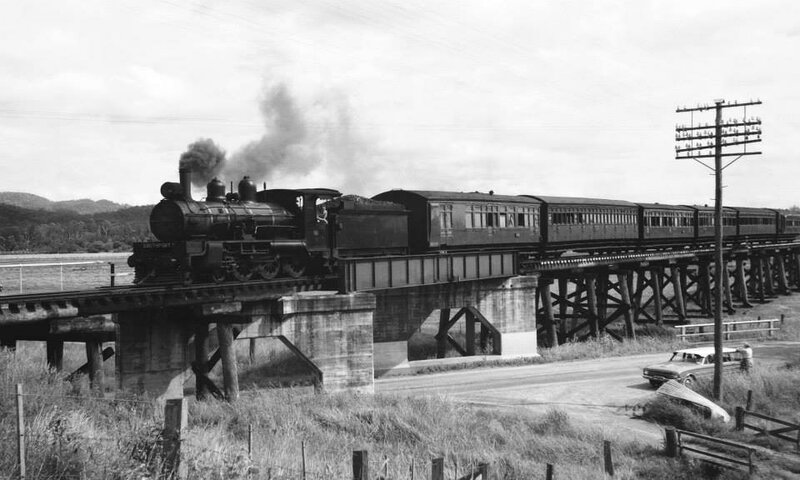 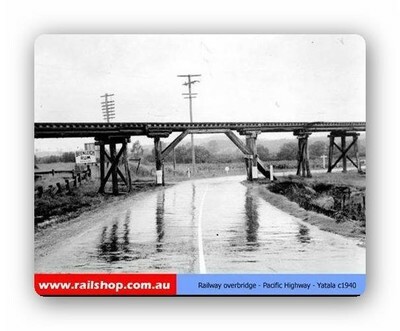 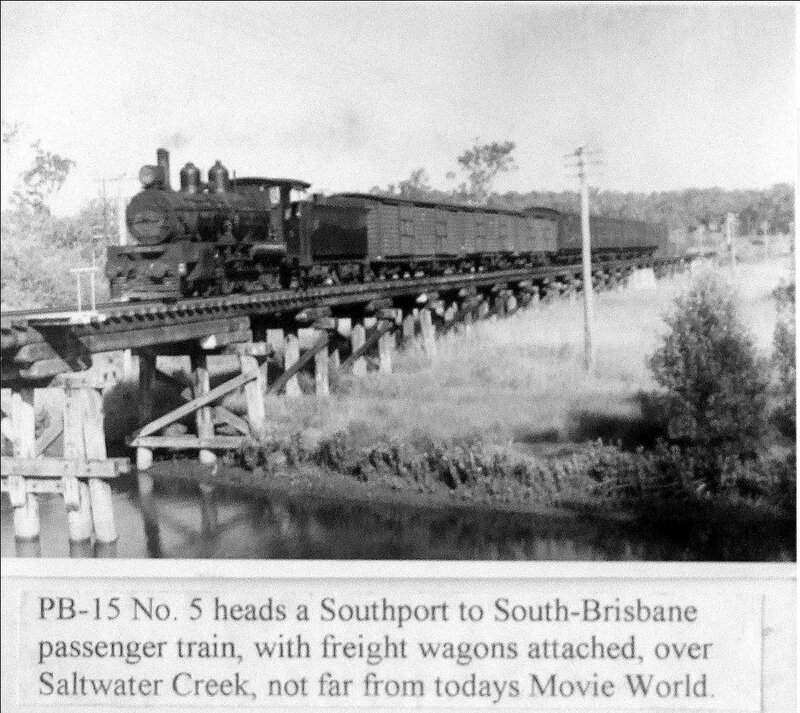 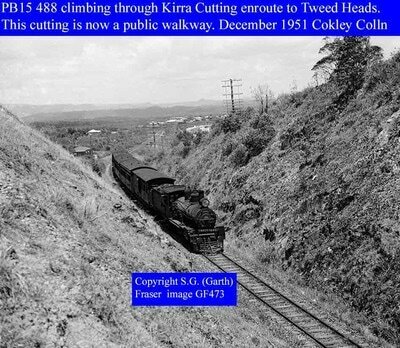 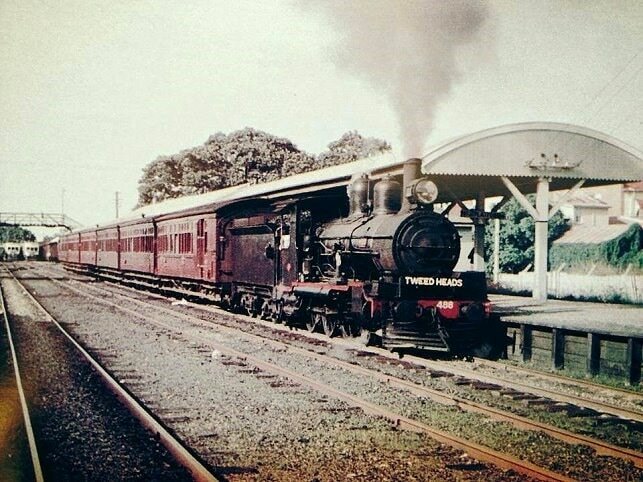 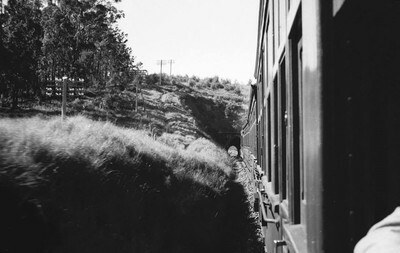 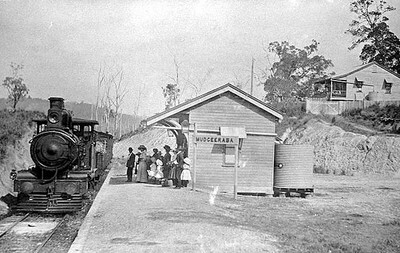 However when the railway was closed, the roads could not cope with the volumes of traffic and it was not unusual for a 3 to 4 hour trip to the Gold Coast on the weekend. 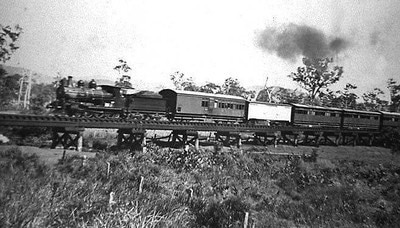 The new Gold Coast railway alignment straightened many curves and with new environmentally friendly rolling stock, speeds of 120km/hr are possible. Service to Brisbane CBD from Varsity Lakes is only 1hr 40mins. This is exactly the upgraded service the Gold Coast required. The existing alignment could never be practical for today’s transportation service. 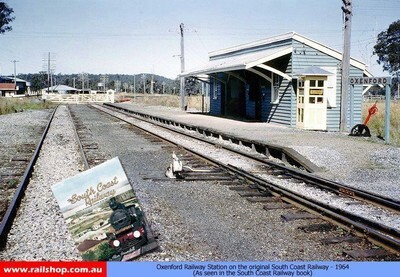 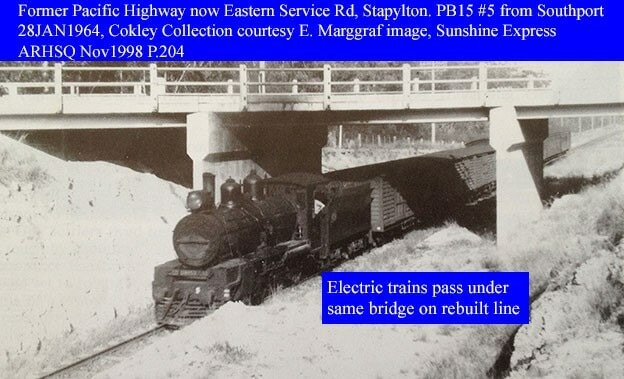 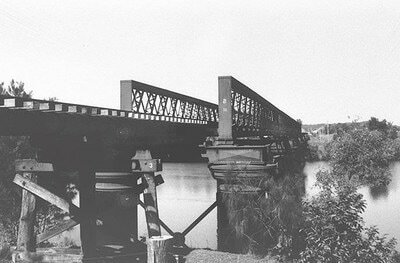 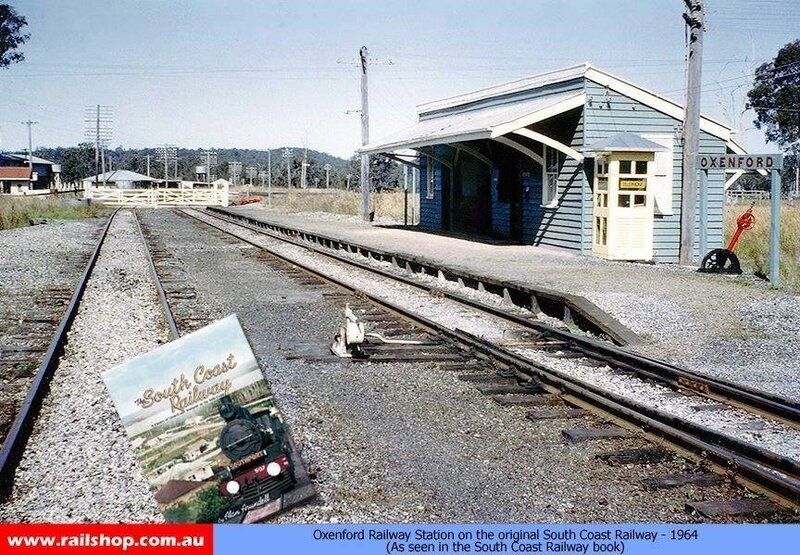 The closure of the South Coast railway was a necessity, even if the new railway was slow in arriving. 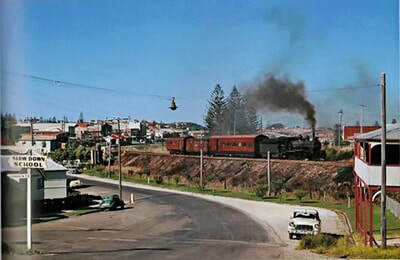 The trains depicted are a PB15 locomotive and Evans cars. 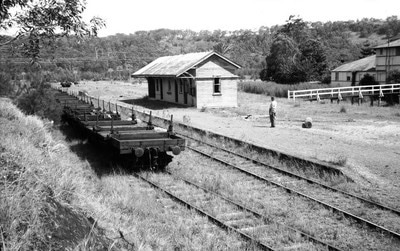 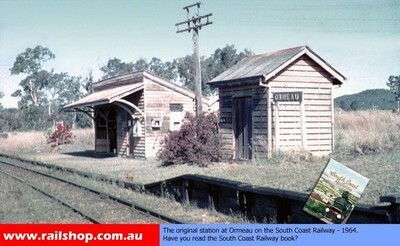 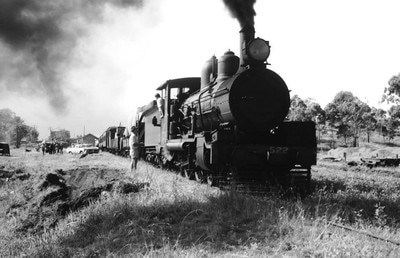 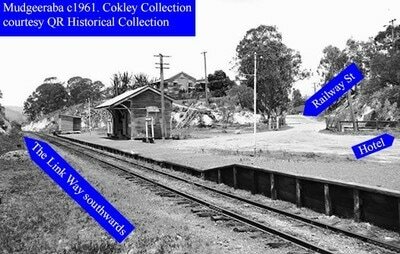 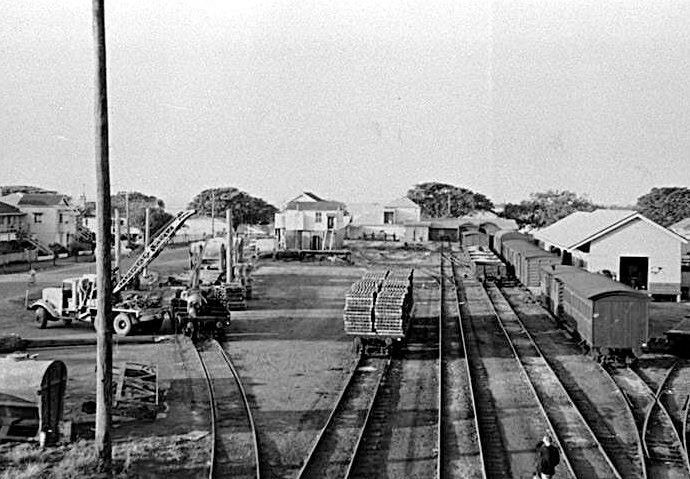 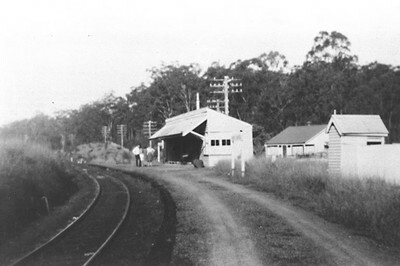 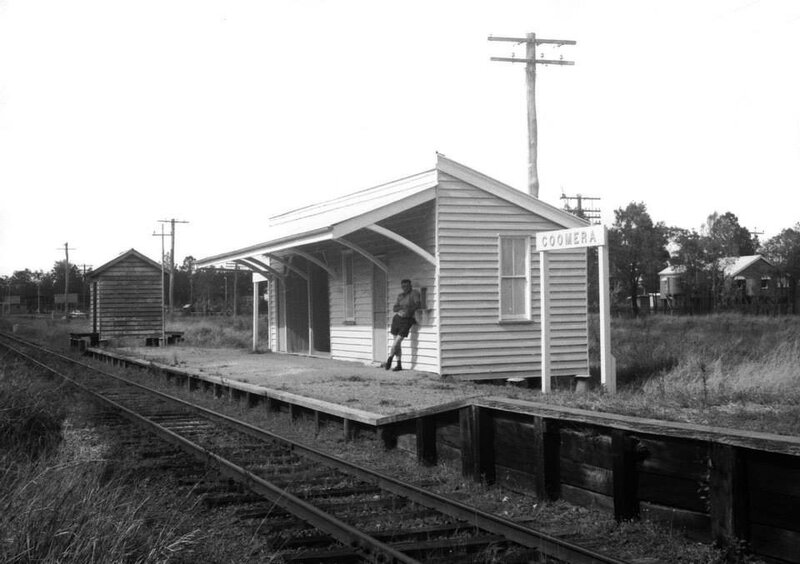 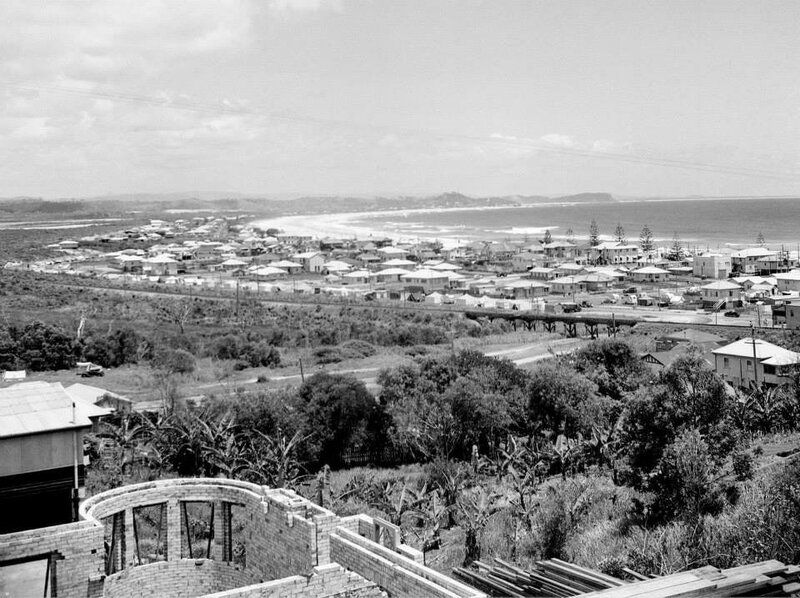 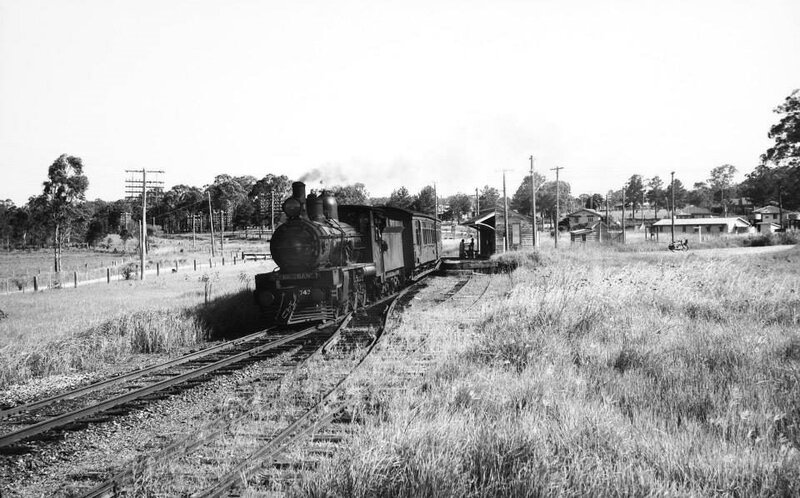 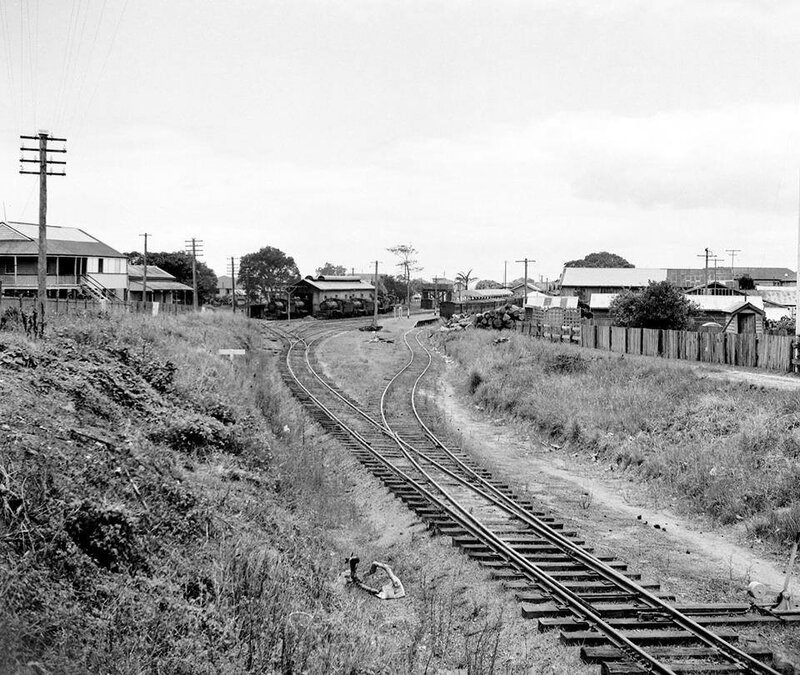 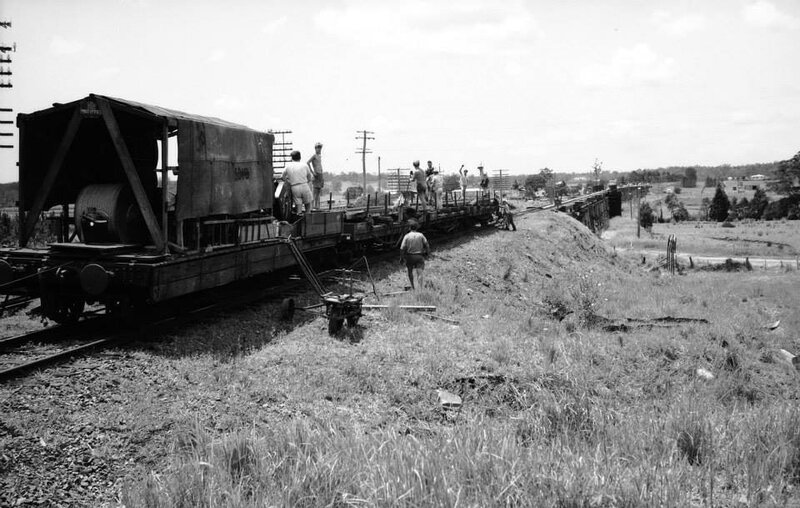 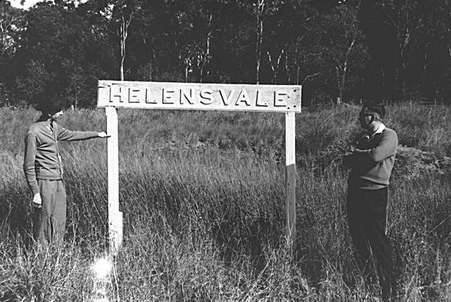 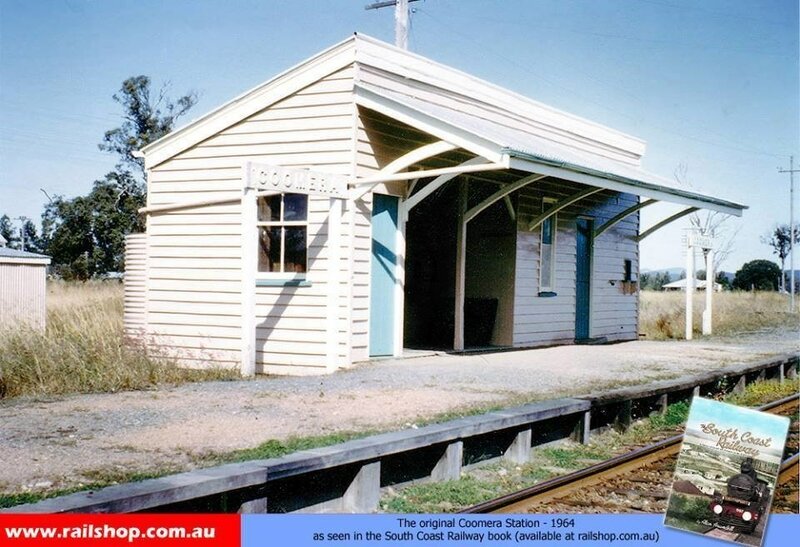 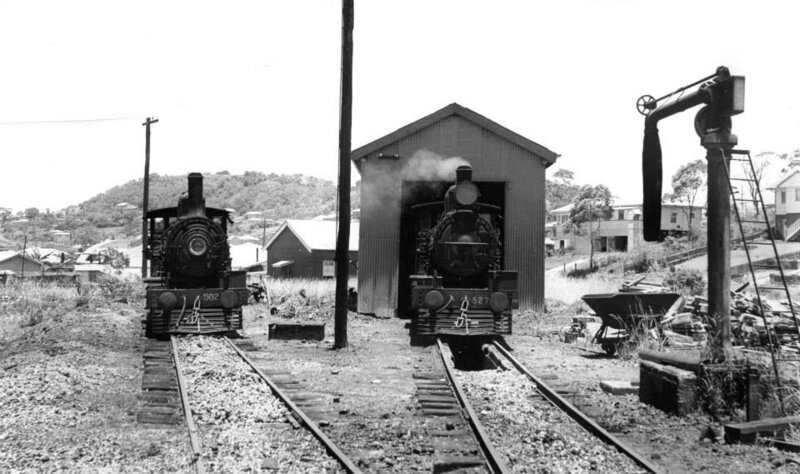 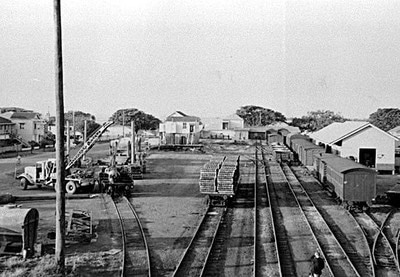 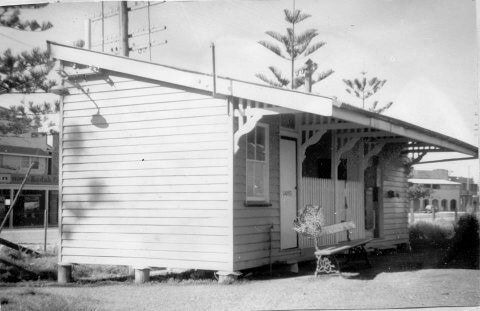 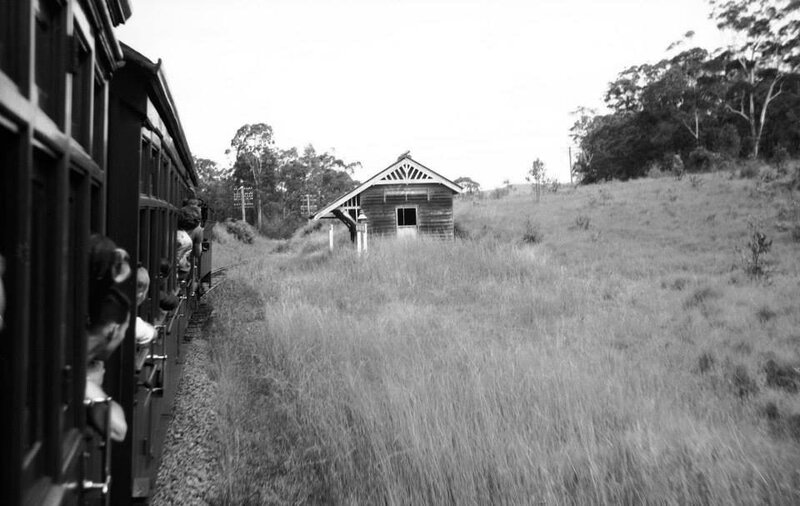 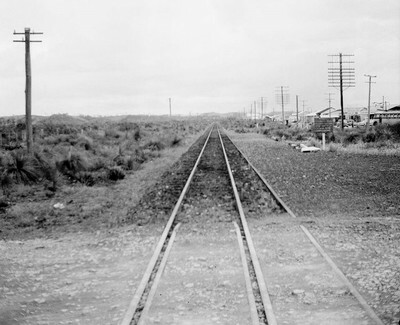 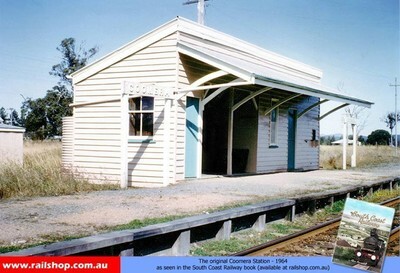 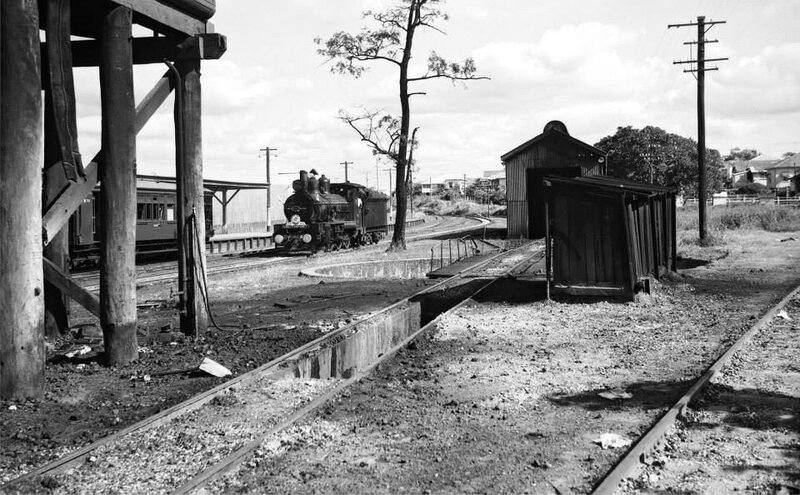 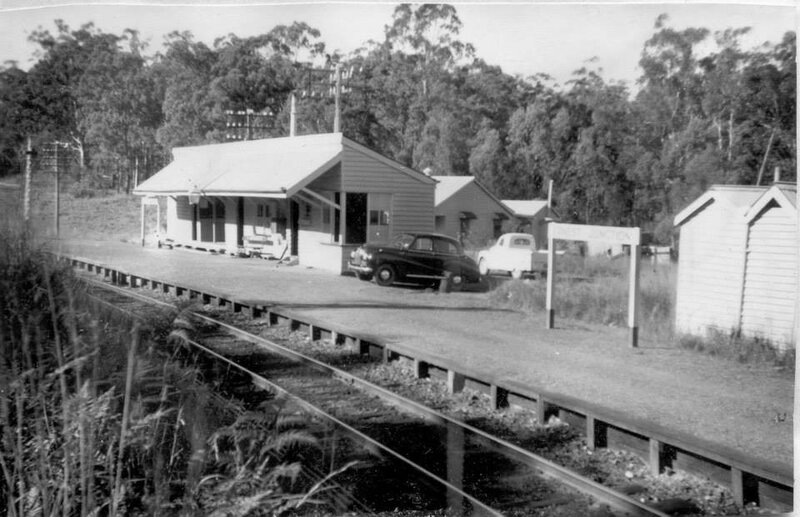 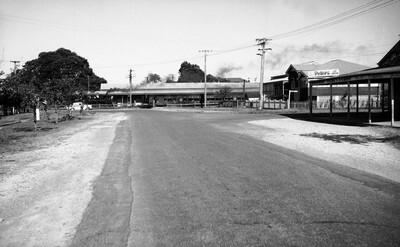 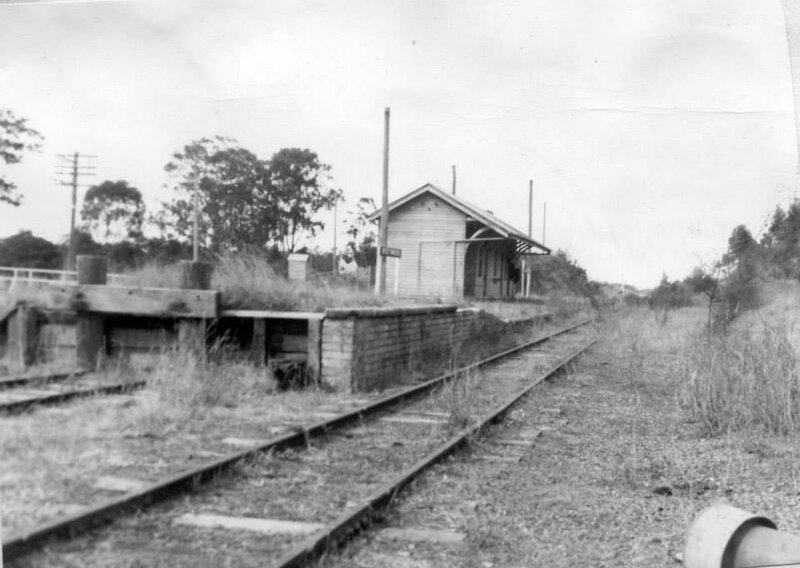 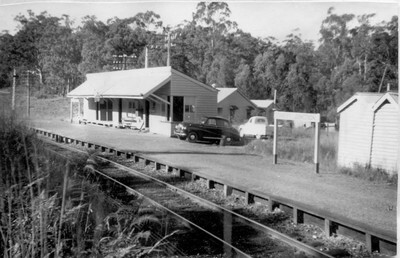 Photo left- Pimpama station in the centre, 1964, with storage siding in the foreground. 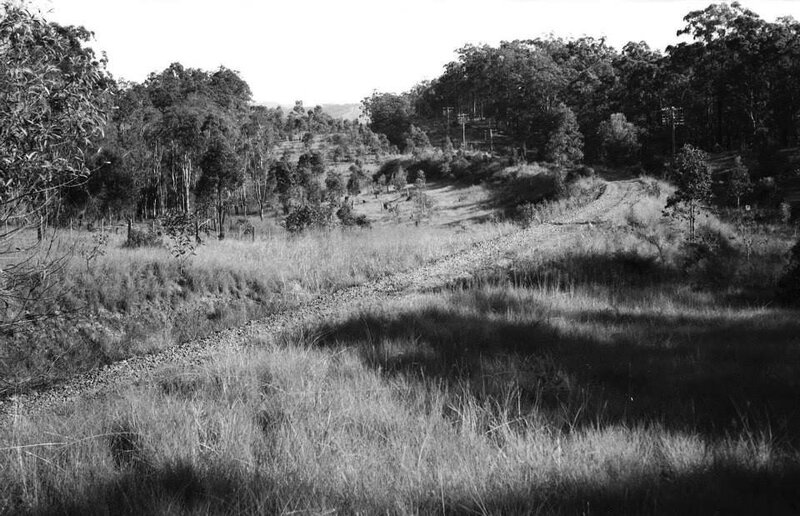 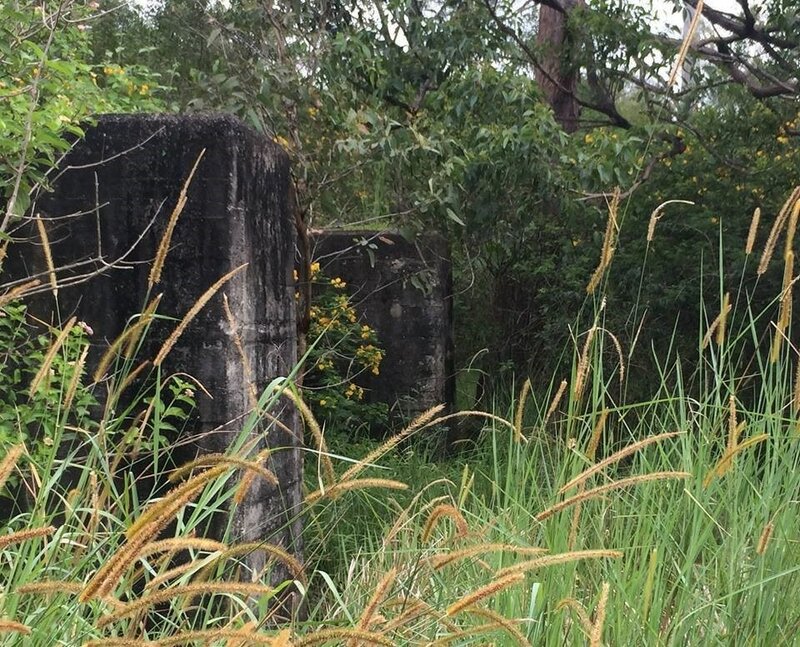 Close to current intersection of Depot and Jacobs Well roads Pimpama. 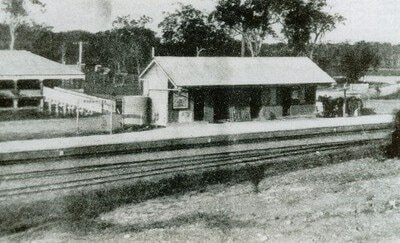 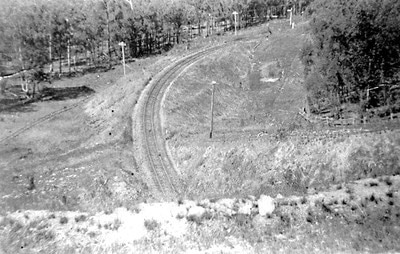 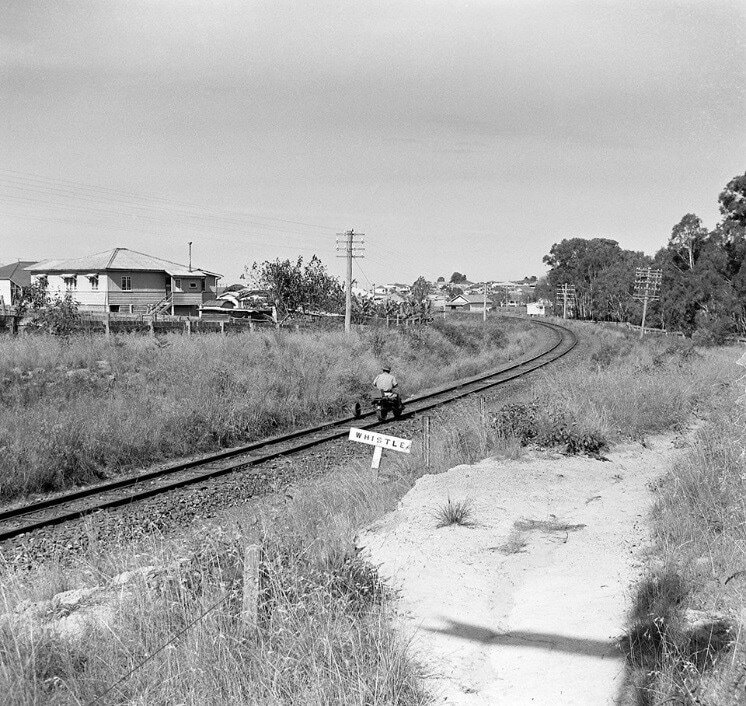 Photo right- Oxenford station with passing loop looking towards Hope Island road level crossing. 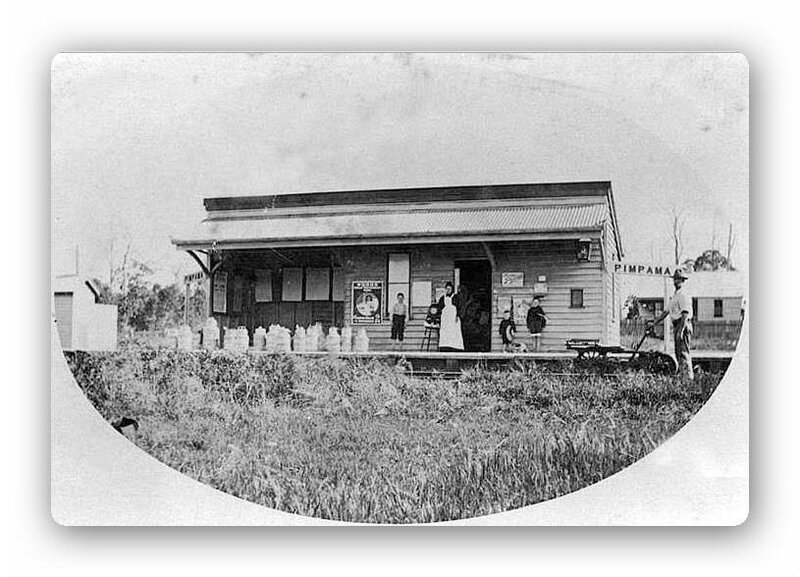 Station close to current Oxford Tavern. 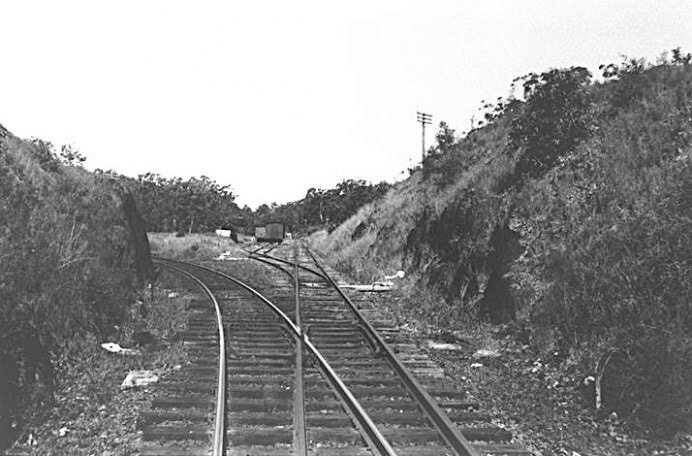 Foreground reverse turnout connection to passing loop. 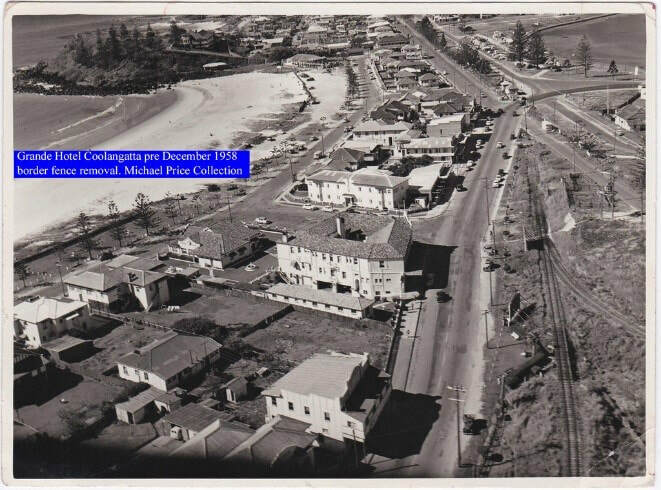 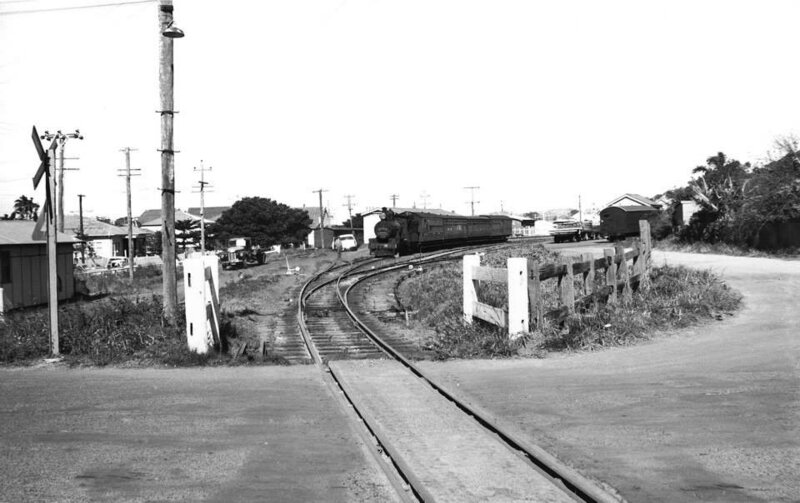 Photo left- Southport yard looking east towards the coast and Marine Parade, early 1964. 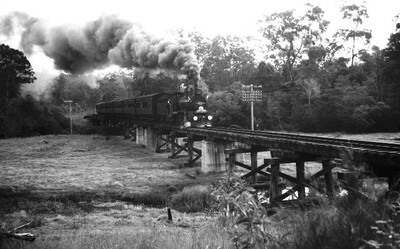 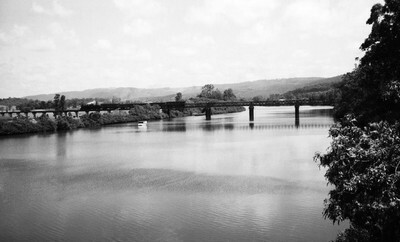 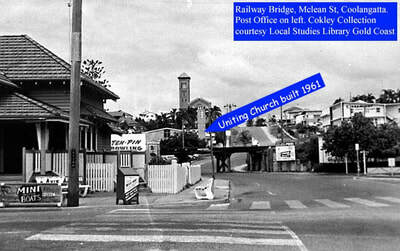 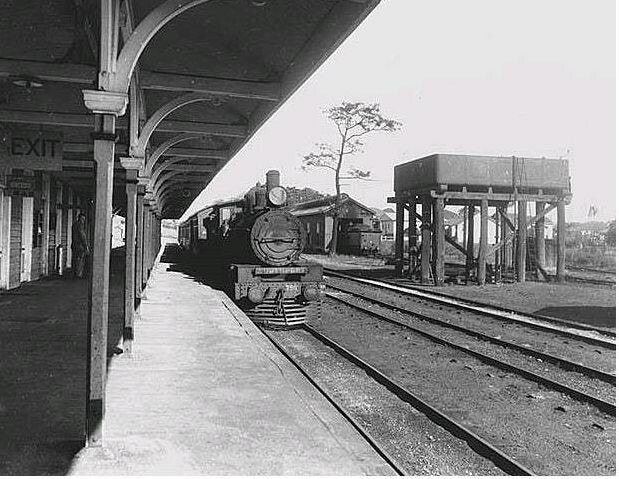 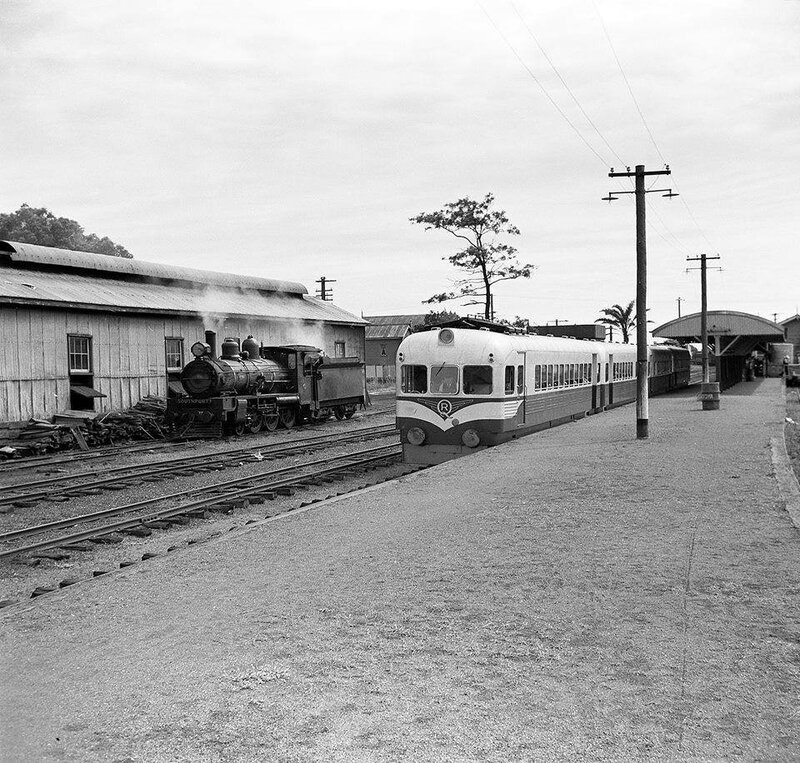 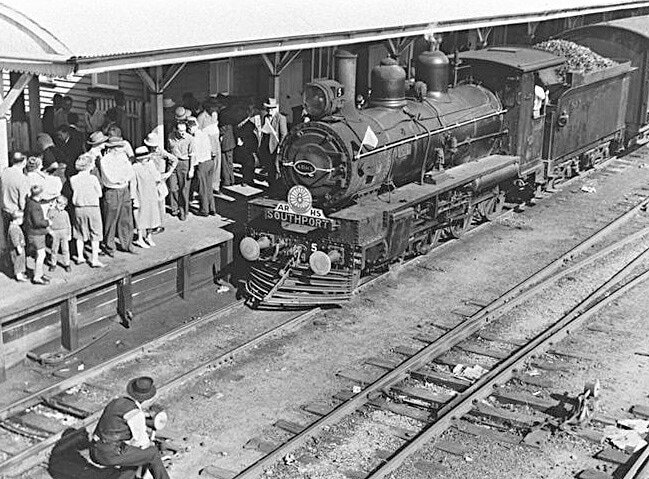 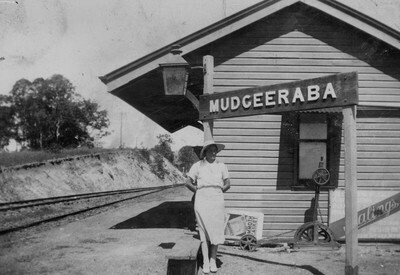 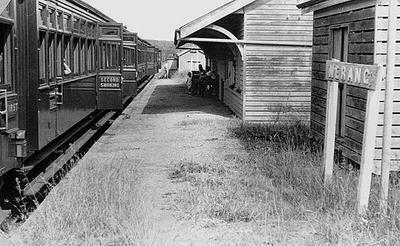 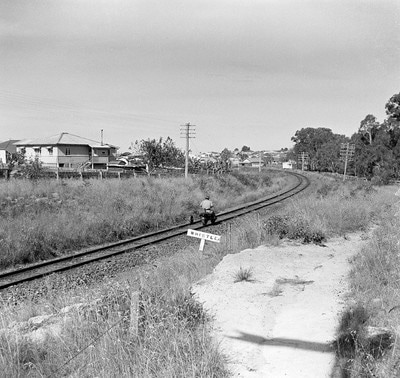 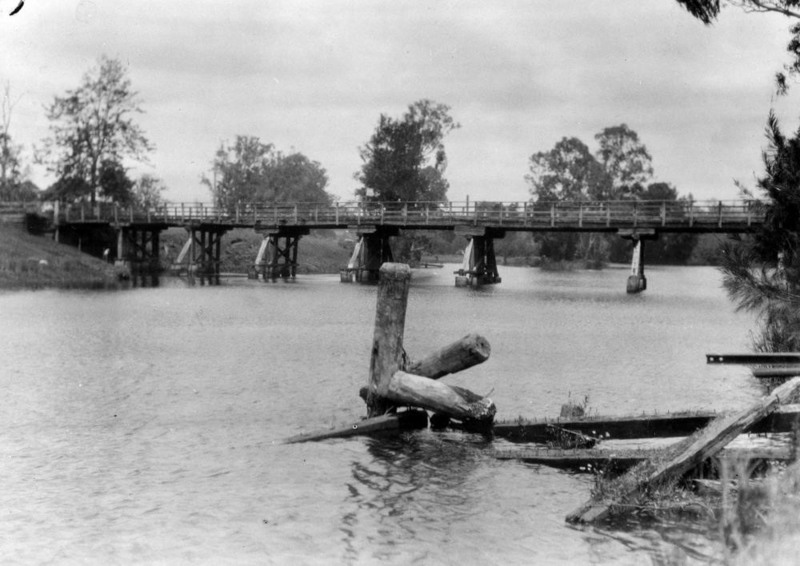 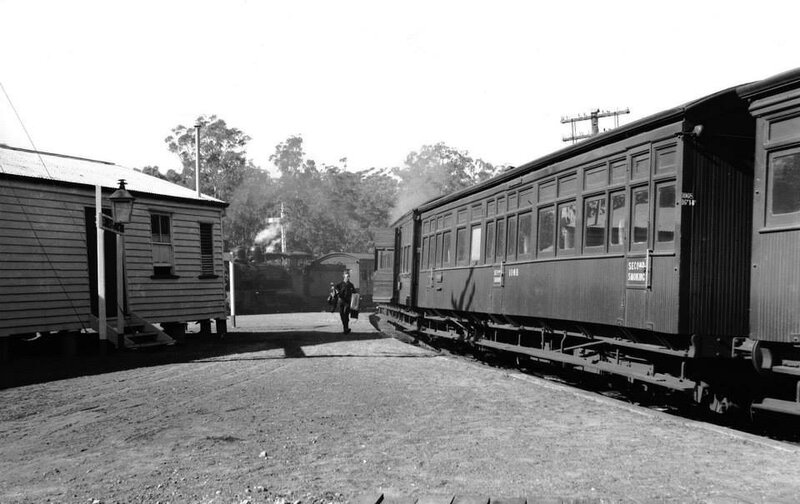 Nerang station, 1964, looking towards the Nerang river on left. 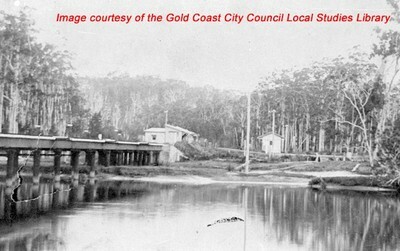 Original township next to the river where present day buildings are located on Station street. 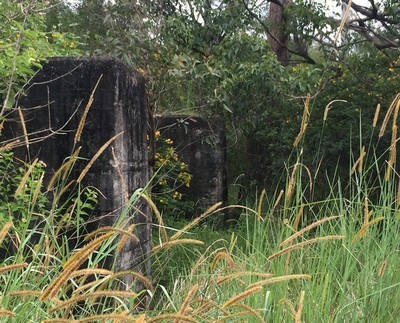 Passing loop and original timber loading siding in the foreground. 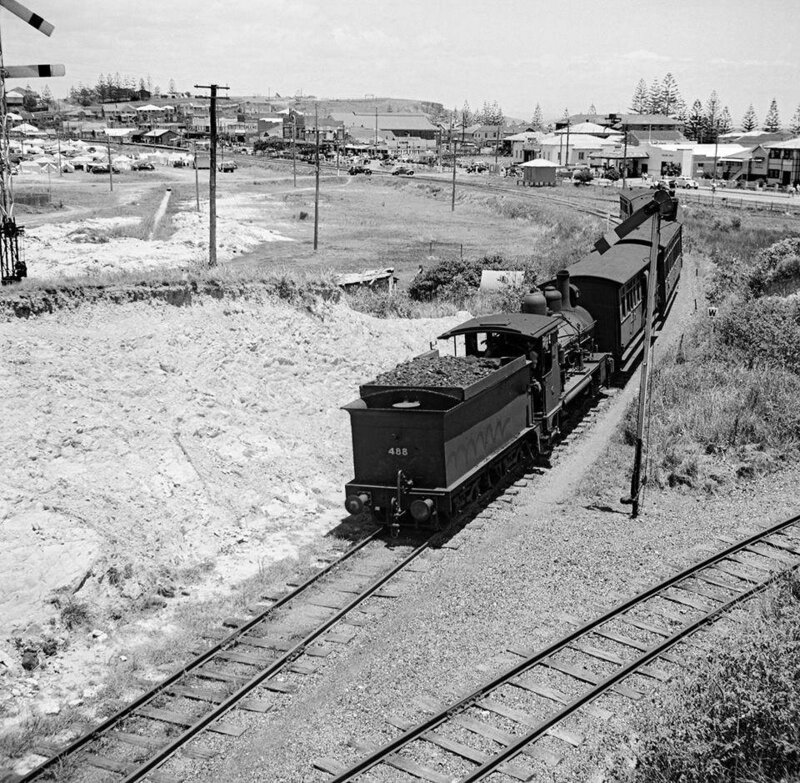 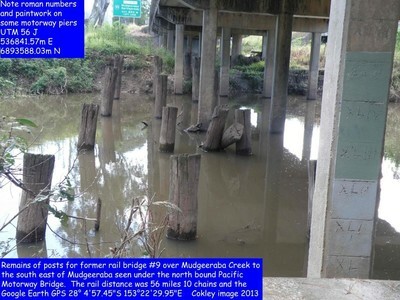 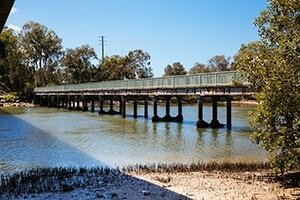 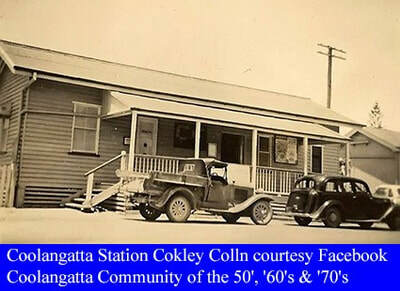 Difficult to locate Nerang station exactly, whether in the car park along Station street or the motorway access ramp or the motorway lanes themselves.